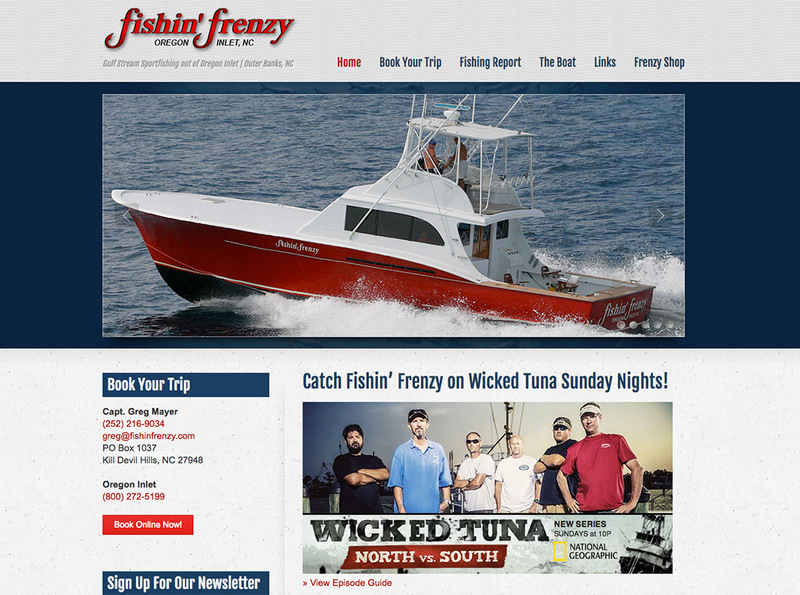 You might know Captain Greg Mayer from his back to back wins on the first two seasons of the National Geographic show Wicked Tuna: Outer Banks. When he’s not reeling in monster tuna, Captain Greg is helping others score their big catch by running charter fishing trips here on the Outer Banks. Greg needed a website he could easily update on the go from his phone or tablet. We hooked him up with a great system that allows him to post his fishing reports from anywhere, and they automatically push to Facebook as well!